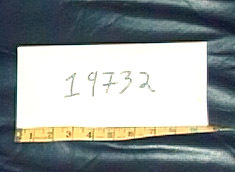 Although in this experiment, we were not as concerned with the "location" of the envelope or it's condition (environmental or otherwise), it was simply in the primary researcher's home, on a shelf in the city of Toronto. 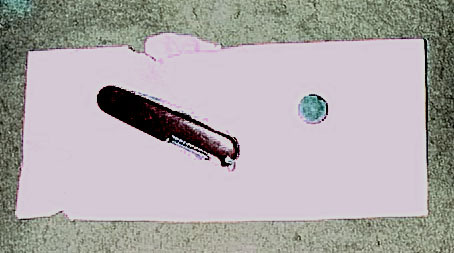 This time, the envelope contained two items... a closed Swiss army knife and a small, black, round magnet. 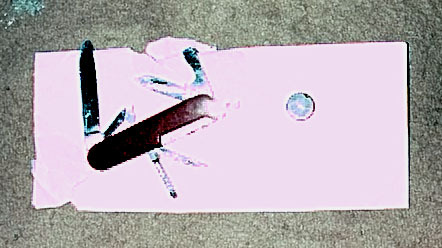 Out of several hundred we had a single hit that ranged as a "good possible direct hit" where the person guessed a "knife at an angle" being inside the envelope. One person guessed "scissors" which we decided was close, but did not include it as a possible hit. Over a dozen people guessed the colour "red" was involved. 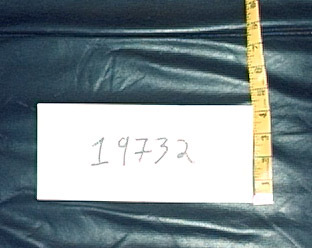 As with the last experiment, when looking at the plethora of guesses of this sort, we wonder if people instinctively assume an envelope with numbers must relate to a "locker" or "safety deposit box"... or associate the envelope with banking to such an extreme as to cloud a possible hit. As defined by Paul H. Smith: "Remote viewing (RV) is a skill by which a person (a "viewer") can perceive objects, persons, or events at a location removed from him or her by either space or time. In other words, one does not actually have to be there, nor does one need any so-called "physical" connections, such as television, telephone, etc., to gain information about the target. RV exploits and improves upon what is more commonly called "psychic" ability (an overused word that has accrued unfortunate connotations), and works whether the target is in the next room or on the other side of the planet. Neither time nor any known type of shielding can prevent a properly-trained remote viewer from gaining access to the desired target." While Remote Viewing can trace it's origins back to ancient times, it was during the 1960's through 70's that RV experiments were being conducted by both the US government and civilian research organizations such as the ASPR. These studies provided fascinating results despite the CIA having released in 1995 a research report stating that RV was not an effective intelligence gathering tool. We at ParaResearchers are conducting an online experiment to be conducted between July 3rd, 2004 - June 17th, 2005. As this experiment is internet-based it will for obvious reasons not be following the strictest of scientific-based protocol. However, we do feel that it should provide some interesting information, and will be useful in determining whether or not we shall be pursuing more scientifically-rigorous experiments in the future. Once this has been accomplished we asked people to send us any thoughts, impression, guesses, that you may have in regards to the contents of the target or any other information they wish to tell us. The envelope is in Toronto, Ontario, Canada (which is on the northwest shore of Lake Ontario at Latitude 43 39 N, Longitude 79 23 W) and we are interested in any thoughts about the envelope, the contents or whatever you "get" from concentrating or viewing the envelope. Remember: There are no incorrect or correct answers. All answers are vital to our data collection purposes. 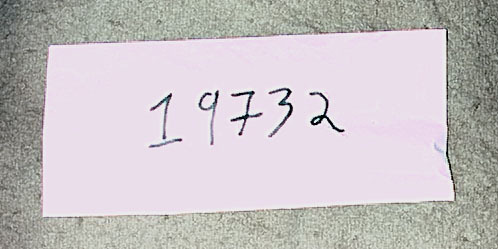 Also, we will not be letting anyone outside the GHRS and ParaResearcher's staff working on this project know the contents of the envelope (or any other information about it) until after June 17th, 2005. PLEASE NOTE: This experiment is now over.